Nintendo has announced that “new information” pertaining to Pokémon will be unveiled via YouTube livestream on Pokémon Day, Feb. 27. The previous Nintendo Direct, which aired earlier this month, omitted any information or updates about the franchise’s next iteration as it enters its eighth generation. 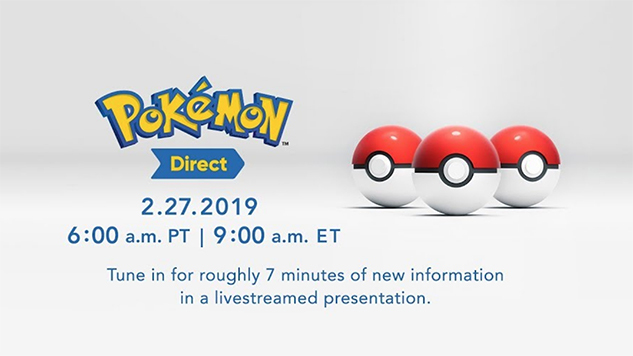 Catch Pokémon Direct in the video embed included below, beginning tomorrow, Wednesday, Feb. 27, at 9 a.m. ET.